On Thursday, October 27, from 3:30 PM to 6:30 PM, the KCK Organic Teaching Gardens held our second volunteer night of the year. 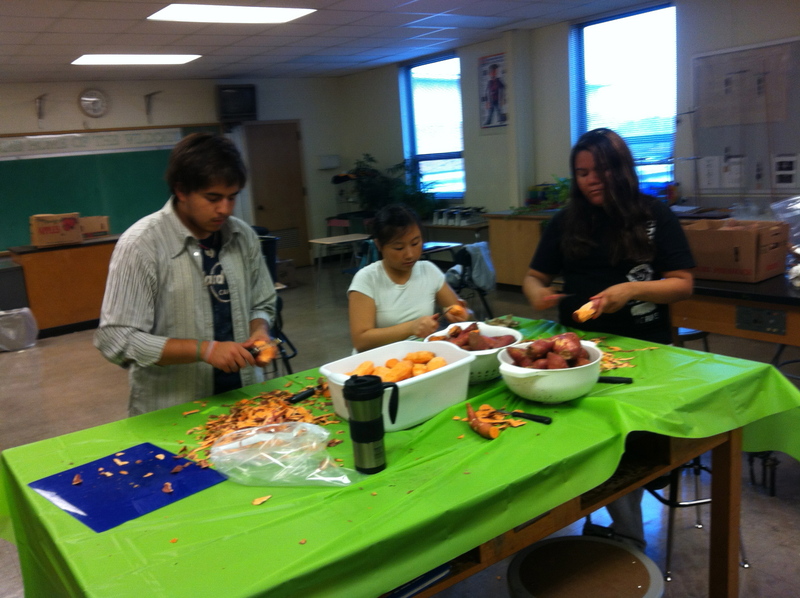 High School Seniors and Juniors, from Sumner and Washington High Schools helped wash, peel, and slice organically grown sweet potatoes. These potatoes will be used in our Sweet Potato Workshops that begin on Tuesday, November 1, at Argentine Middle School. Volunteer Nights will continue through the year, in Mr. Zeigler’s science classroom at Rosedale Middle School.